There are a few slots around based upon the Ancient Greeks and Olympic Gods is the latest having just been released by Red Rake Gaming. It is a 5 reel slot with 40 paylines and the reels are set against the walls of an ornate temple. There are three high value symbols: a centaur, Pan (the god of the wild) and Bacchus (god of nature). The wild symbol is Aphrodite (god of love) and there is a Medusa bonus symbol. There is also a Zeus sticky wild symbol which can land on all reels and lands stacked on reel 4. If it lands stacked on reel 4 but doesn’t form a win it will remain in place until a win is formed. Landing three Medusa symbols triggers the free spins. 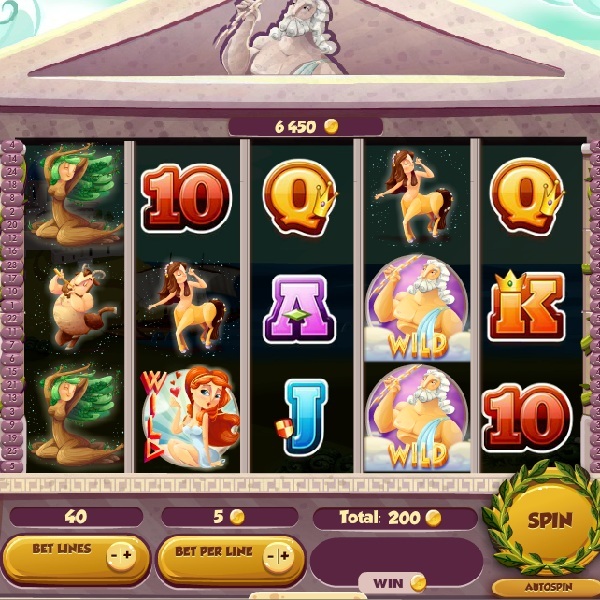 Players are awarded ten free spins during which Aphrodite also becomes a sticky wild.